After breakfastleave for Sigiriya Check-in at the hotel. 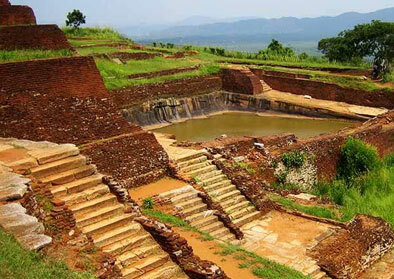 In the afternoon climb the famous Sigiriya Rock Fortress. Dinner & overnight stay at hotel . After breakfast leave for Dambulla. Visit cave temple. Afterwards leave for Colombo via Pinnawala. App. 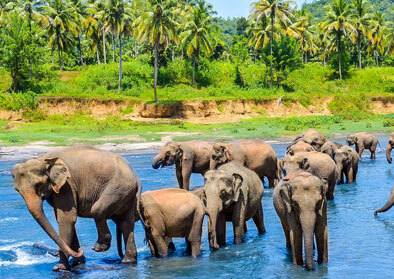 55 miles from Colombo, off the Colombo - Kandy road is Pinnawela, where an orphanage was started in 1975 to house the abandoned and the wounded elephants. The number of elephants has increased to more than 65 now; including Baby Elephants brought from various parts, as well as some of the more than 25 babies born, because of the captive breeding programme. The best time to visit is the feeding time from 0930-1000 hrs and 1330-1400 hrs and the bathing time from 1000-1030 hrs and 1400-1430 hrs when all the elephants are taken to the river close by. 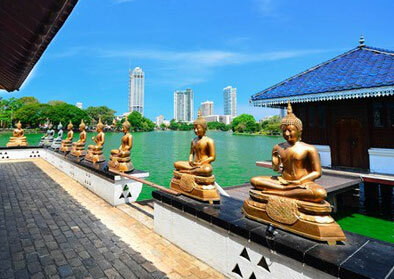 Leave to Beach Stay (Tour ends in Colombo). 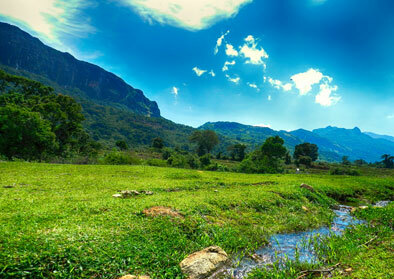 Leoland's Travels Luxury Tours in Sri Lanka featured popular tourist destination visits and luxury hotel accommodation.